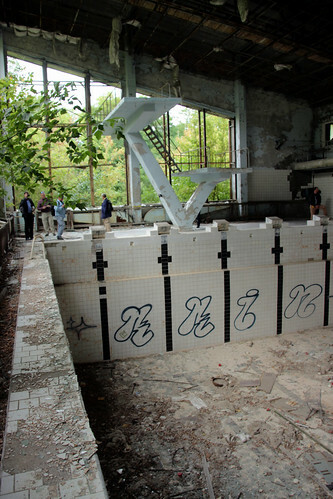 One of the more familiar tourist locations in Pripyat is the Azure “Lazúrnyj” swimming pool near Middle School No. 3 . 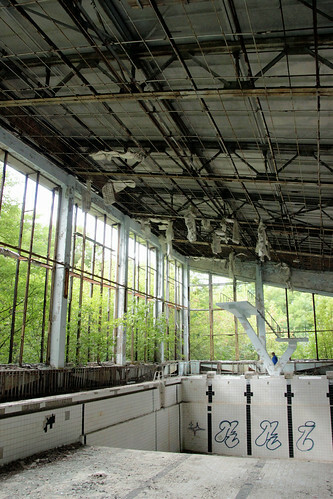 The Azure swimming pool is the most popular of three indoor swimming pools in Pripyat. 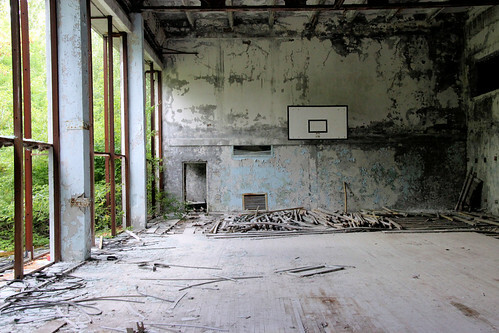 The swimming pool building also contains a small gymnasium with a basketball hoop still hanging over the floor. 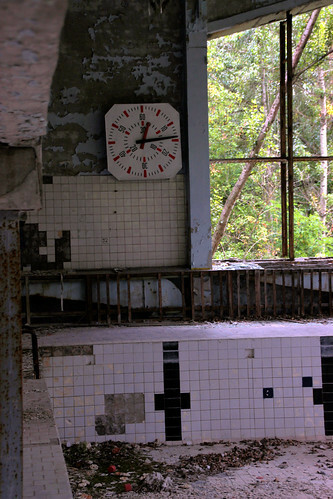 Most people aren’t aware that the Azure pool remained open after the accident for over ten years for liquidators at Chernobyl. Today all of the windows are broken out and nature is breaking into the building. It reminds us of the human impact of these disasters in a real and vivid way. 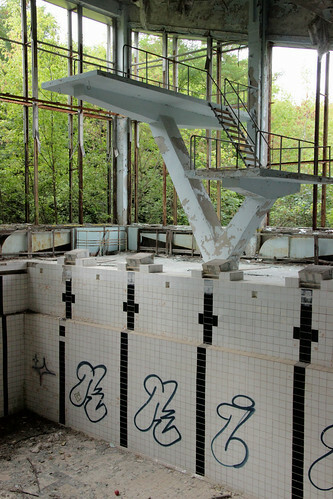 The Azure swimming pool was featured in the video game Call of Duty 4: Modern Warfare.